Gov. Dannel P. Malloy’s plan to commission a $10 million analysis on restoring tolls to Connecticut’s highways continues to provide fodder for this year’s state elections. Sen. Joe Markley of Southington, one of three Republicans battling for the nomination for lieutenant governor, announced Tuesday he is seeking a court injunction to stop the study of an electronic tolling system. But regardless of what happens with Markley’s filing in Hartford Superior Court, the study’s fate likely rests with Connecticut’s next governor and the 2019 General Assembly. That’s because Malloy — who is not seeking re-election and whose term expires on Jan. 9 — has said most of the $10 million wouldn’t be spent until after he has left office. The governor said last month, when the State Bond Commission approved financing for the study, that it would take an estimated nine months to select a consultant to perform the work. 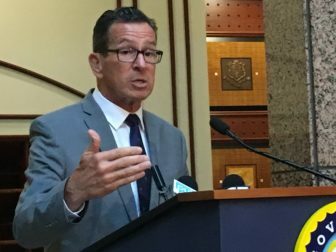 Given that timetable, Malloy said only a small fraction of the funds would be spent before his term ends, specifically to advertise that the Department of Transportation is accepting bids on the analysis project. 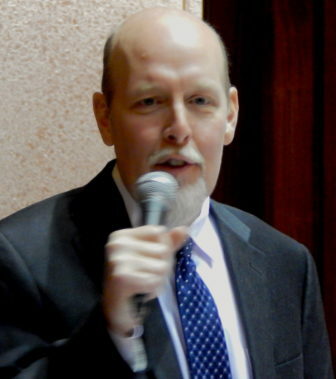 Still, Markley said Tuesday that he believes the governor has overstepped his authority. Attorney General George Jepsen, who like Malloy is a Democrat, said last month that the governor has authority to commission the study, using already granted legislative approval to finance transportation-related projects. Malloy has insisted throughout his second term that Connecticut cannot finance a major rebuilding of its aging, overcrowded transportation infrastructure without a new, significant long-term revenue source. Key highway projects tentatively scheduled to begin or expand with the next five years — including replacement of the elevated section of Interstate 84, renovations to the “mixmaster’ junction of I-84 and Route 8 in Waterbury and widening of portions of Interstate 95 — would fall into fiscal limbo, according to the Malloy administration. Republican legislators have been unanimous in their opposition to tolls. The GOP has countered that Connecticut must better prioritize its transportation program and borrowing in general to free up more dollars for infrastructure improvements. The governor and some of his fellow Democrats in the legislature counter this would barely provide enough resources for basic maintenance and would leave nothing to enhance and modernize highways, bridges and railways. The House Republican Caucus tried in late July to petition the legislature into special session to enact a measure prohibiting the Department of Transportation from commissioning the study. That petition drive failed when Democrats in both chambers, as well as Senate Republicans, declined to sign the petitions. 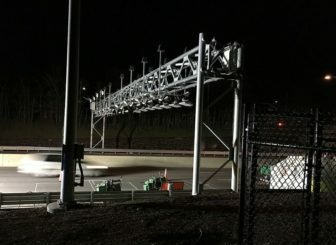 Connecticut has not collected tolls on its highways since April 1989, when the last toll was removed from the Charter Oak Bridge. Between 1985 and 1988 Connecticut also had removed eight toll plazas spread across I-95 and I-395 as well as tolls on the Merritt and Wilbur Cross parkways.